DYI pump kits - supplied with easy to follow installation instructions in English. FOLLOW THESE STEPS TO INSTALL YOUR LORENTZ SOLAR BORE PUMP KIT YOURSELF OR CALL US FOR ASSISTANCE. 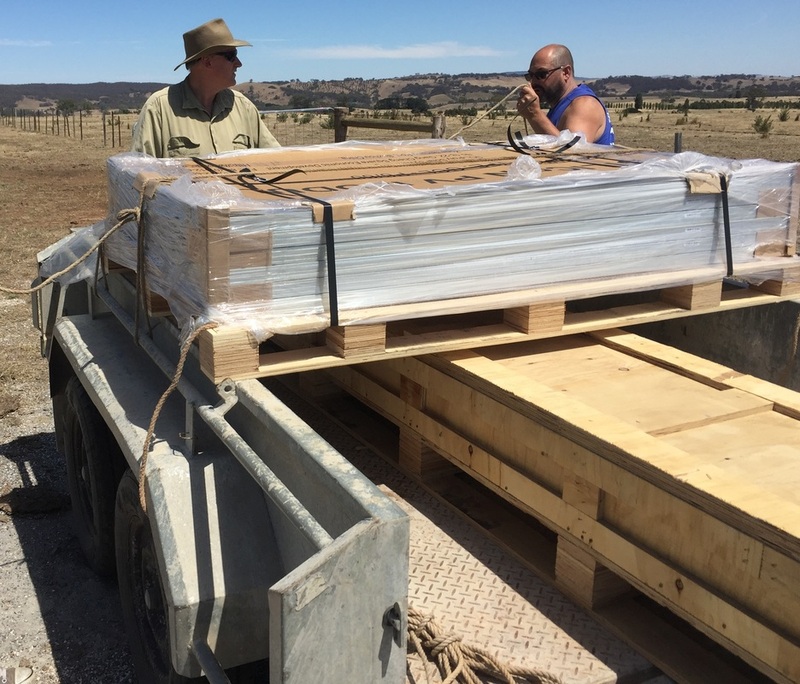 ​PLUS ASK US ABOUT OUR INSTALLATION SERVICES IN SOME AREAS! Use our selection guides or contact us to get the best information and advice. Check for transport damage. Lay the pump and components out identify and familiarise yourself the items. Give us a call if you need more information. 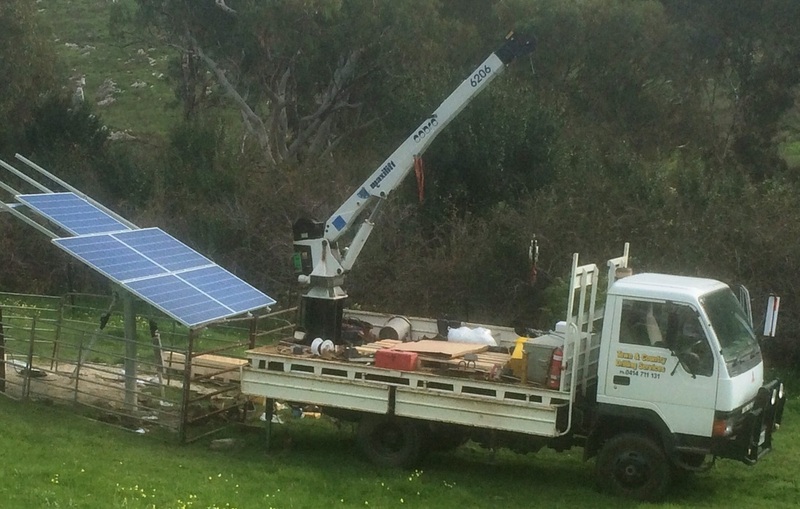 Dig a hole around 1m deep and about 300mm in diameter for the installation of the pole mount for the solar array. Follow the supplied instructions. Additional copies can be sent or downloaded. Align the axis of the frame mounting hole to allow the panels to face north. Concrete the pole in and allow to set overnight. 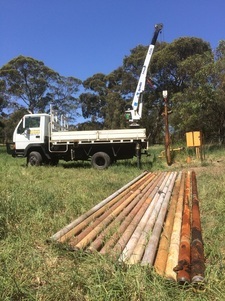 Splice submersible cable to pump cable see instructions at- http://www.waterborepump.com.au/submersible-cable-splice-guide.html. 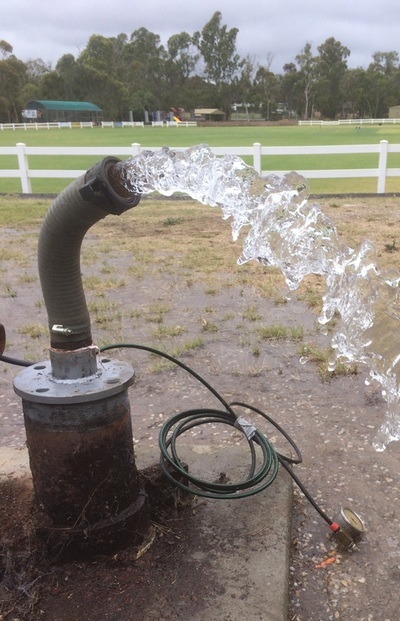 ​http://www.waterborepump.com.au/installation-guide.html or call us any time on 1300 727 042. Make up frame on post following instructions included with Pole Mount System. Set the angle according to the data sheet supplied by Solarborepumps. Mount controls and drive unit to post. Make connection of pump power cable to AC isolator and drive unit if fitted. Follow instructions supplied with drive unit for correct wiring for particular unit. Ensure DC isolator is in the off position, Plug the solar panel output cables together following the supplied instructions and then connect to isolator. Stand back and check that each step is complete. Open valves if fitted, turn on DC isolator drive unit and pump should now power up and pump should start pumping. Sometimes it takes a couple of starts to inflate the Crusader Flexibore hose and allow flow switch to activate. Allow the pump to operate and then test the tank filling valves or switches if fitted. 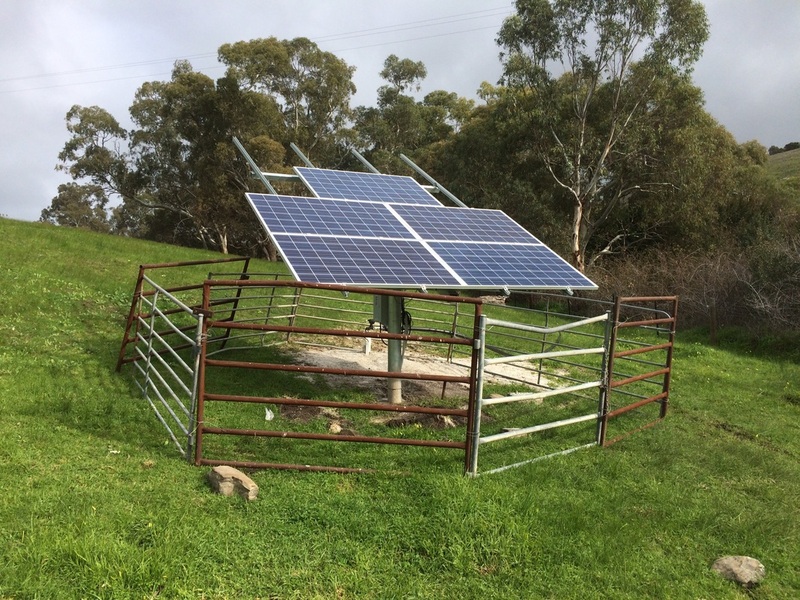 Take a photo and tell your mates how clever you are and how good this system is. 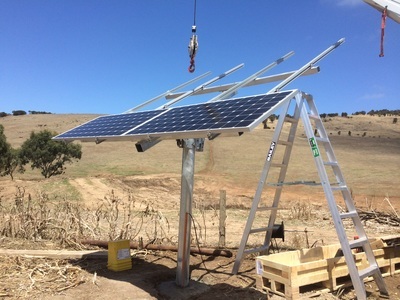 clenergy pv-ezrack post mount installation instructions. 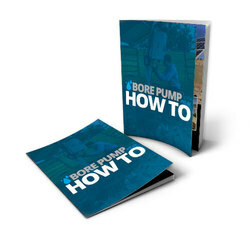 This free downloadable How to Guide contains information on how to choose the correct submersible pump to suit your application, how to prepare the pump and components for installation, and how to adjust the controls and switches on a new or existing pump installation. The fault finding guide is also included to assist with finding the problem and it’s possible cause.